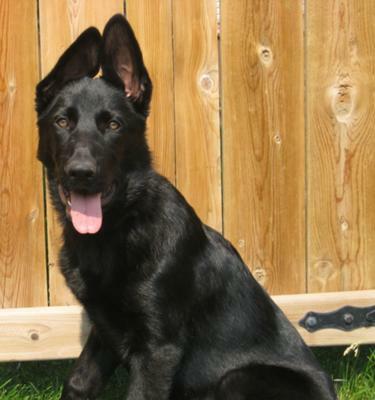 My German Shepherd is a 7 month old male, normal height, but he only weighs 54 lbs. He is really very beautiful. Doctors say he is healthy. Does this sound like an abnormally low weight and should I be concerned? As German Shepherd puppies mature they often go through a gangly phase where they are thin, long and lanky - "all feet and elbows". One of my GSD breeder friends refers to this phase as the "uglies". So if your GSD pup is on the thin side I would not worry about it too much as long as it is active, playful and eating and drinking normally. 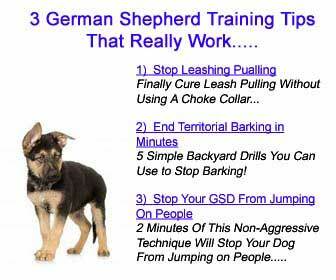 As your puppy continues to grow it will eventually "fill in" but just keep in mind that a German Shepherd is not considered fully mature until it is over 2 for a female and 3 for a male. So if your German Shepherd puppy is on the thin side but still playful that should be fine, just make sure that it is not emaciated. But if you're unsure, always refer to your vet for more feedback on your puppies health and weight.